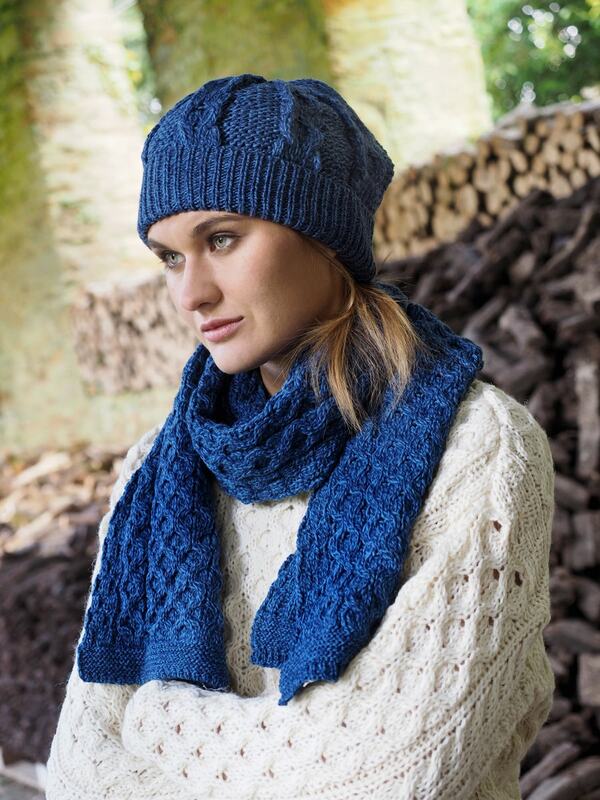 Our Blue 100% Merino wool hat is both warm and super soft to the touch. Feel like you are still all cosy in bed as you brave the elements in the protection of an Irish Aran hat. The Honeycomb pattern is the most popular stitch and mean that you are a hard working girl. The honeycomb represents the hard working bees that would supply the Aran Island with their honey. Gift to any of your hard working friends or even treat yourself to one also and be twins!